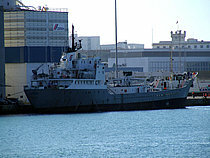 From 1968 to 1995 she was owned by 'Cementos del Mar' (CemenMar) and registered in Tarragona. 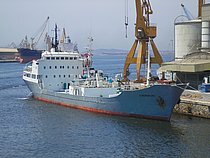 Since this photo was taken, she has been renamed 'Sakis P' and flagged in Panama (call sign: HP4483). 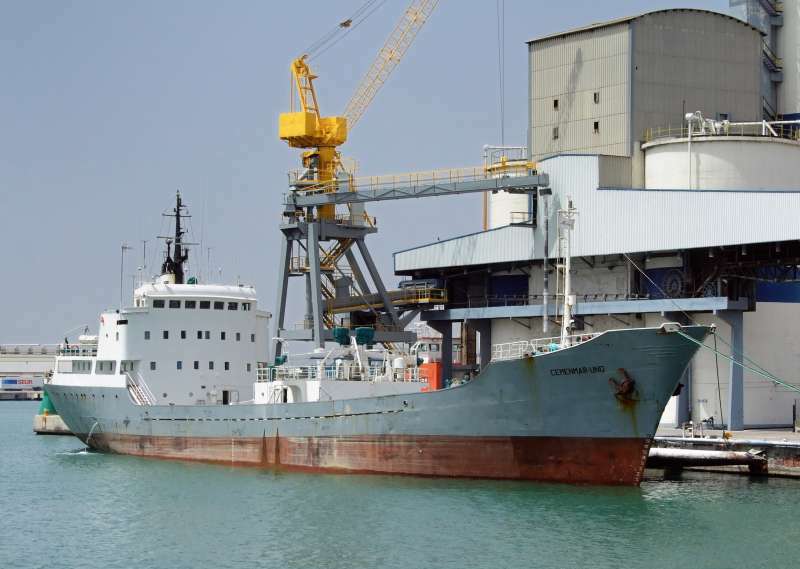 She is now owned by 'Gremex Shipping' from Mexico. Many thanks to Manuel Hernández (Socaire). I believe she's actually owned by Cemex, not Gremex. Nice photo of this vessel, which is no doubt considered a classic. This photo has been shown 1,639 times since it was added to the site.